The Minnesota State Fair wrapped up its run Monday night, but if for one fleeting moment, we're going to go back to the Fair. 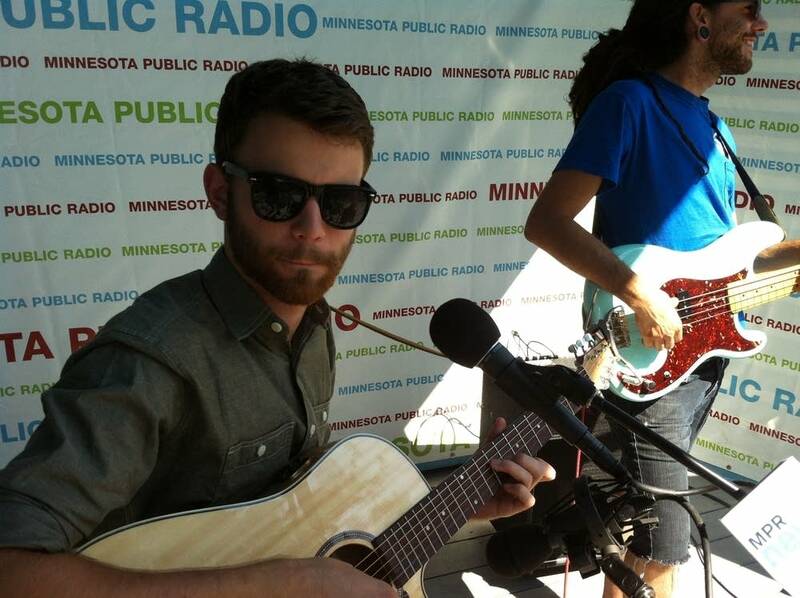 On Saturday, John Mark Nelson played a few songs from his new album called "Waiting and Waiting" at the MPR booth. Nelson's folksy sound attracted quite an audience for his performance. But Nelson is also getting attention for the fact that while he might sound like he's 40, something he says he hears from people when he performs, he's 18 years old. Earlier this summer, he graduated from Minnetonka High School. This new album, "Waiting and Waiting," is actually his second. His first album was "Still Here" and Nelson released it when he was a junior. If you missed him at the fair, he will perform Thursday at the Cedar Cultural Center. He's on a lineup that night along with Rogue Valley and Ben Rosenbush and the Brighton. Tom Weber is host of MPR News with Tom Weber, which is heard weekdays at 11am. Krystyna Pease is an Associate Producer for MPR News' All Things Considered.